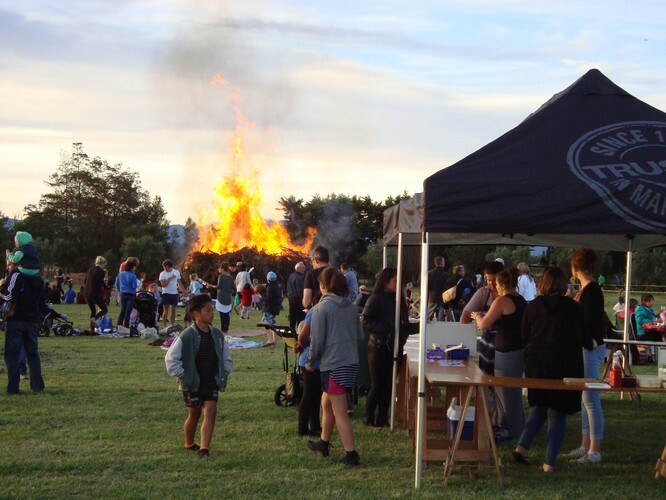 The Martinborough Community Guy Fawkes Display will be held on 5th November (pp day Sunday, 6th November) at Considine Park, Princess Street, Martinborough. Gates open from 5:30pm. Live music, delicious food, drinks and glow sticks available for purchase: gold coin entry with all proceeds going towards Martinborough School's senior Ski Trip 2017. All welcome. If locals have any garden rubbish to contribute to the bonfire, please deposit at Considine Park after Wednesday 19th October where indicated. No building materials or nails please - the Park is used by the Pony Club during the year. Note that no drop off is permitted on Labour Day Monday (24th October). Thank you for your support. For more information, please contact Pippa Broom on 0274 169 102.